Before scrolling down, you can check the Introduction & previous Episodes here – Vol.1 (Introduction), Vol.2, Vol.3, Vol.4, Vol.5 & Vol.6. For this Episode, we have 17 years old, owner of “Meizu Times” (now renamed to his real name), Hinshal Sharma. He is a Tech Blogger from Shimla, India and he is one of the first to post exclusive news and leaks about MEIZU on his twitter account. He is really a crazy Meizu fan with enormous knowledge about Meizu. You can check his twitter account here and can follow him if you like the content. He has 300+ followers and some of them are verified accounts. Q. Your first Meizu phone? What made you buy that over other available phones at that point of time? How many you have now total? A. I still remember the day I bought Meizu M2, way back in 2015. It was my first Meizu phone. Actually my father purchased the phone for himself, but then I got so impressed by it that I convinced my father to give it to me. My sister was forcing him to buy the Redmi 2. But I was so eager to buy the M2 after seeing the reviews of the phone, and also was a bit excited to try the Flyme OS and the mBack button. Later, I became a very big fan of Meizu and decided to buy Meizu phones only. As of now, I have 3 Meizu phones: Pro 7, M3 Note and M2. I also made my sister buy M3S, and my brother bought Meizu M5. Q. You had twitter account with name "Meizu Times”. Any other social page or anything else with same name? When did you create the account and why name "Meizu Times"? A. Actually I have a habit of searching for Meizu's news and leaks every now and then. So I thought I should create an account on Twitter and share the news with all Meizu fans across the world. After some thinking, I made an account and named it "Meizu Times". (I'm very bad at naming things). This was the only page I used to run, and above my expectations it got a good response. It motivated me to keep it updated with latest news and leaks. I also then started a blog meizutimes.blogspot.com, but it didn't get a good response, and I used to update it once in a long while. Q. Meizu launched M6N, their first Qualcomm Snapdragon powered phone and things are looking pretty good after they have started to use Snapdragon processors. Do you think, Meizu should completely ditch MediaTek and only use Snapdragon or Exynos in all of their phones? A. After seeing all the leaks of the M6 Note, I was very eager about the launch of the phone. I still remember I was in an event organized in my school, and ran to washroom as soon as the event took place and started watching the updates on Meizu's twitter account and some Chinese blogs. I was so excited that Meizu included a SD625 and IMX 362 sensor on a phone so cheap. Meizu at that time launched a Xiaomi killer phone after a very long time. Actually, if you notice Meizu phones have either same or maybe better specifications as compared to Xiaomi phones. But the MediaTek processors they use made all the difference. Just by seeing a MediaTek processor, most of the people turn their faces away from the phone, as performance is their primary requirement. But now, MediaTek has also made a comeback with some good SoCs, like the Helio P60. Meizu should stop using old MediaTek processors like on the M6T and M6. But something like a Helio P60 will be welcomed by many customers due to its great features. Actually when you are now a brand this big, you should understand the tastes and preferences of your customers. Q. Meizu is kind of invisible in Indian market. It was so popular when debuted in India and it just disappeared suddenly. What do you think, can Meizu come back and compete in very competitive Indian market? Any suggestions? A. If you take a look, Meizu was never fully present in the Indian market. Most of the phones they launched were available in a single storage variant, and even in a single color. But still, they managed to grab a large number of customers. They did try their best and I thought they'll grow and expand in future, but the opposite started happening. Their launches declined and so did their attention towards the Indian market. The India specific Flyme OS they made has also been discontinued. Meizu still can make a big comeback in the Indian market. The main things they'll need to consider should be the price of the phones and after sale services. If Meizu launches the Meizu 16 here in India starting from a good price and much better features, customers wouldn't think twice before buying the phone. Q. Xiaomi is no. 1 smartphone brand in India. Lot of your friends also may have Xiaomi phones. Did you ever thought of buying Xiaomi phone when you were not getting regular updates of Flyme and no sign of when good Meizu phones (M6N for example) going to be launched in India. Because I saw lot of Indian users bought Xiaomi phones due to Flyme Updates issue. A. Most of my friends have a Xiaomi. They used to say me why you buy phones of a brand no one even knows about. Better, get a Xiaomi. But, it didn't matter to me. I had ₹23k and could buy a phone of other company with much better features too! But decided to get a Meizu Pro 7. Except performance, everything in the phone is so good. My friend has an iPhone X and I have the Pro 7. But more than him people keep looking at my phone and always keep asking about it from me, due to that second screen on the back and a great design! I don't know the reason, but my sister's Redmi Note 3 hangs and heats more than my Meizu M2. Maybe some issue on her phone. Also the design of Meizu phones is much better than Xiaomi phones according to me. Talking about the updates, they didn't bother me much as I got the Flyme updates. Latest android is not a problem for me until I come across an app that isn't compatible with the Android version my phone runs on. Because, Flyme has been so good in providing extra features. Q. You are now working as content writer for Meizu Matters and you changed the name of Meizu Times account. What was your reaction after getting such opportunity in this age? Do you love content writing even before buying Meizu or Meizu made you so? A. After I started working at Meizu Matters, I became a little busy as I reached home from the school late and also had to do my homework. So I decided to work at Meizu Matters with dedication as it was a great opportunity for me. The founder of Meizu Matters is the same man who is also the founder of SamMobile.com. But due to time issues, and I was not able to update most of the news from my twitter account as I had to keep them for MeizuMatters.com, I had to rename my twitter account back to Hinshal Sharma. Later when I left MeizuMatters, I started updating leaks and news again on my twitter account, but this time of all the phone brands. Q. Meizu 16 is going to be launched on 8.8. You share lot of leaks and news about it daily. You must be excited. It's too early but still what are your thoughts about Meizu 16. A. Meizu's founder J. Wong himself said that no phone is perfect. Everyone phone has both pros and cons. But Meizu 16 according to the leaks and information revealed by him looks like a very good phone. Undoubtedly the best Meizu has made in recent years. Also the use of a flagship Snapdragon chipset will benefit them. I'm also very excited about the under display fingerprint sensor present in the phone. Q. What do you think about Flyme OS. Do you like new Flyme 7. What do you prefer - Meizu phone with Stock Android or Meizu with Flyme OS and why? 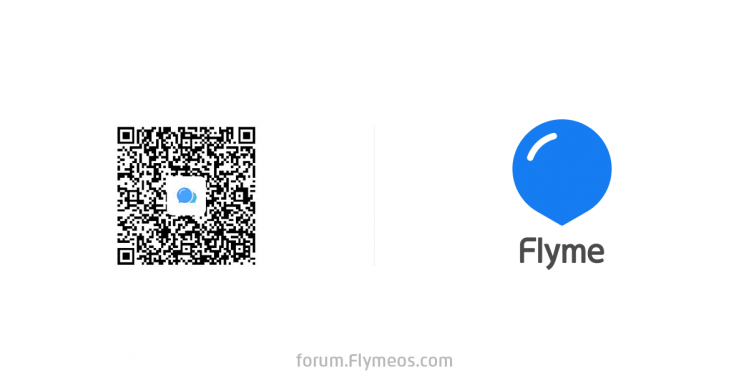 What improvements you want in Flyme? A. Well, some people just think that Flyme 7 is just a minor update to Flyme 6, specially for the Global users. But when I saw the Chinese ROM, it has some jaw dropping features I've never seen on any custom ROM. But the main problem like always will be with the updates and availability. And after Meizu cancelled the Flyme 7 updates for some devices, it was like a bad news that came out of nowhere for users waiting for the update. When it comes to choosing between Flyme and Stock Android, I would definitely choose Flyme. Though for Global users, it hugely needs to be improved. They should start upgrading Flyme with latest available Android version, at least for the flagships. Also, there are many features present on the Chinese ROM that never make their way to the Global ROM. I hope this will not be the situation with upcoming Flyme versions. Q. If you have opportunity to choose any 3 phones from all Meizu phones, which 3 will you choose? A. Meizu MX4 Pro, Meizu 16 Plus and Meizu X8. Q. You live in Shimla. It is very beautiful place. Any specific country or place where you want to visit? A. Shimla indeed is a good place to visit. But now it is my dream to go to China once in my life. There are many specific reasons. The first one is that I want to visit the Headquarters of many Chinese companies, like Meizu, Xiaomi, Huawei, etc. Also, I'd love to visit the shops there to see the cool devices and gadgets available. The second one is that I want to visit a zoo there to see pandas. For me, they are the cutest animals on the planet. So, I'll surely plan a trip to China if I ever get a chance in my life. Q. What are your hobbies other than content writing? Any future plans? A. I'm totally a geek. My hobbies are nothing but to use gadgets, listen to music, and keep myself updated with latest tech news. I want to start my own website and YouTube channel in near future. Though my main aim is to become an entrepreneur, and run a successful startup. Also, I have a dream either to work at Google or Meizu at least once in my life. So, this concludes this Interview and I hope you like it. See you guys next month in Episode 8. Meizu's phones are very good but very expensive on the global markets. You must change your politics in order to save your fans! It shouldn't be wrong but too much praise is also not good! Well your beliefs are yours! Seems that Hinshal you haven't used much custom roms. And also RN3 lags in compared to M2?